A bumblebee flew into my extension a few minutes ago and uproar ensued. In my haste to ensure its safety, my cup of tea and plate went flying. It was with great relief that I managed to open a window and see it fly away unharmed. 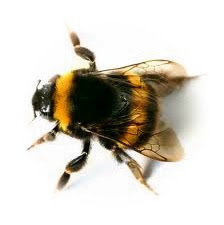 Bumblebees and bees in general are getting scarcer and we all know the cloud that hangs over their populations through a variety of ailments, so please do all you can to assist this marvellous insect.